​Forex, also known as FX, is the world’s largest currency market. FXAsia helps client to make a profit by speculating on the direction of currency price movements. 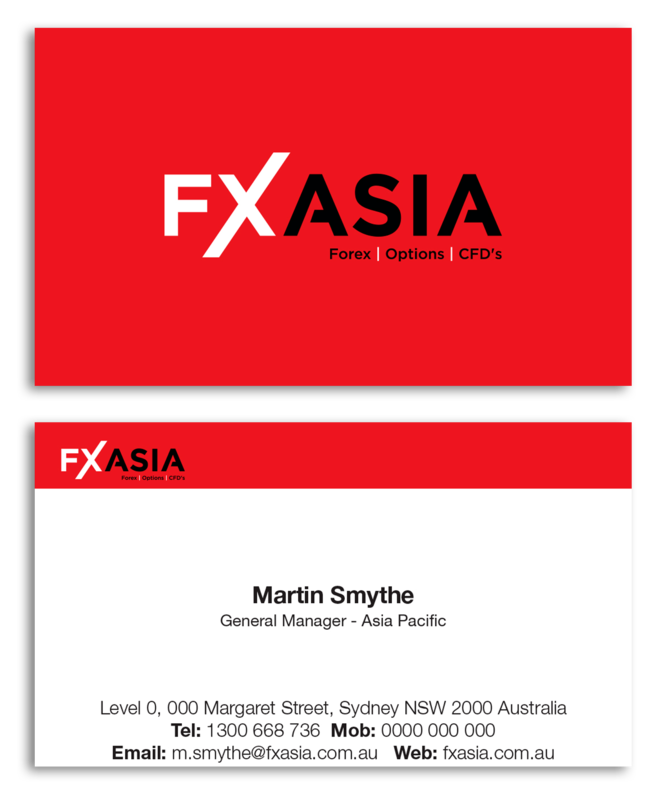 ​The client needed a strong business card that would be used for the Asian market. Our concept gave them a stunning and clean result.